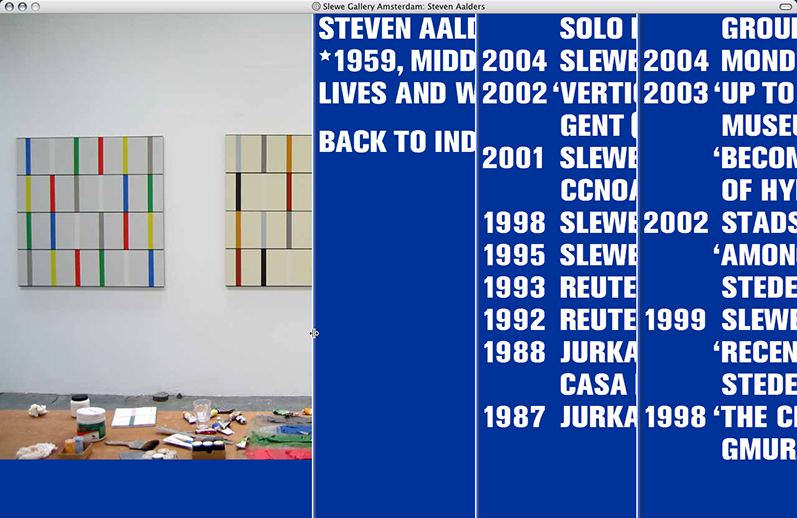 The Slewe Gallery in Amsterdam was founded in 1994 in the centre of Amsterdam and has from the very beginning focused on contemporary arts and abstract painting. An average of seven solo exhibitions are held every year, with each of the gallery’s artists imposing his individual stamp on the locale space every time. 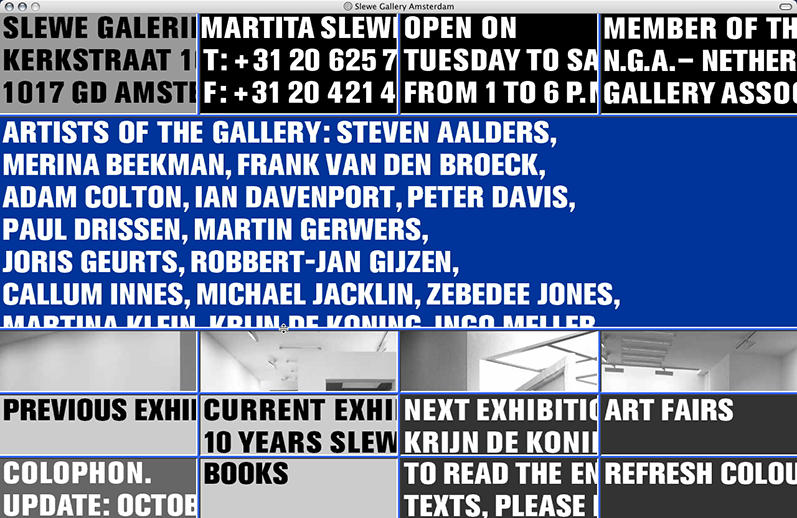 www.slewe.nl itself regards web space as a virtual extension of the physical exhibition venue. 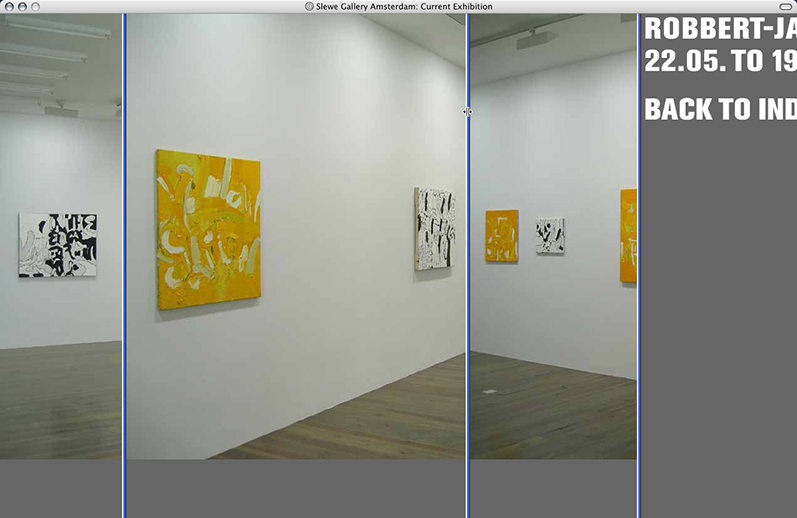 It allows the entering of gallery space in a different way than with traditional websites and uses navigation as an essential part of the user’s information experience. 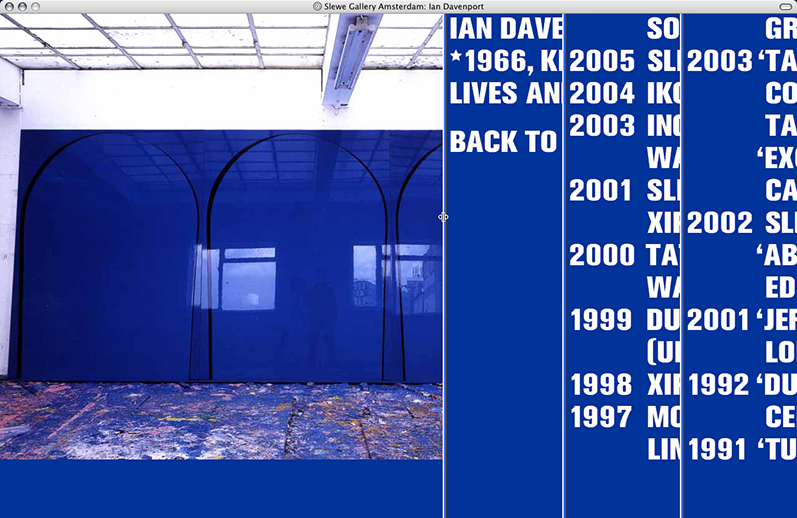 The website’s appearance is characterised by the reduction of colours to a small spectrum of greyshades. 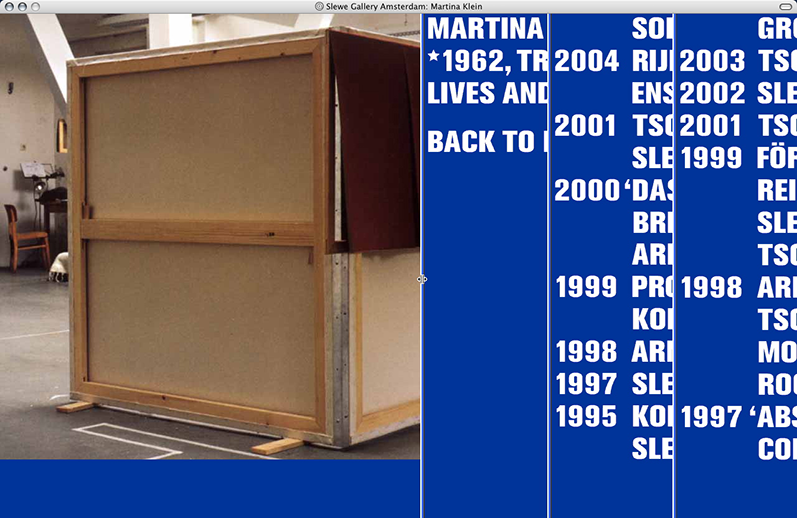 Only artists-related pieces of information are highlighted blue. 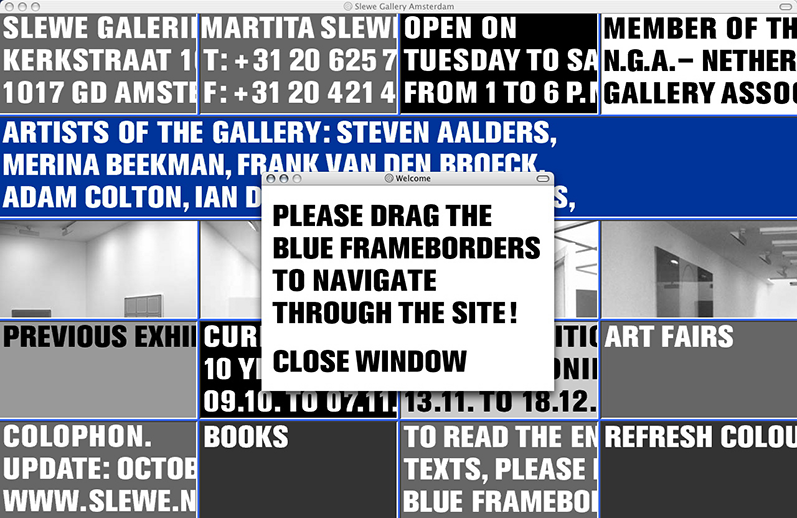 Frames structure the site into a grid of horizontal and vertical information cells, the readability of which depends on their respective size. It is the user’s task to enlarge the different cells by interaction, to complete content and make links visible. 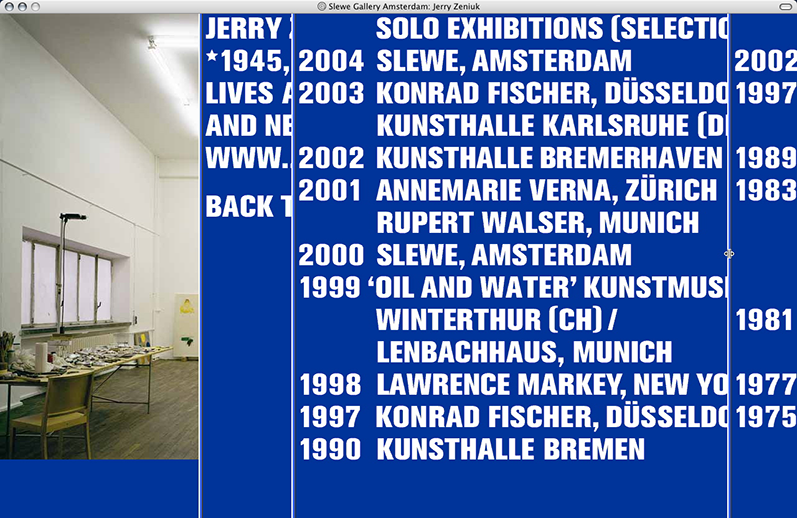 In 2004 the website has been awarded the red dot: best of the best and nominated for the red dot: junior prize award.